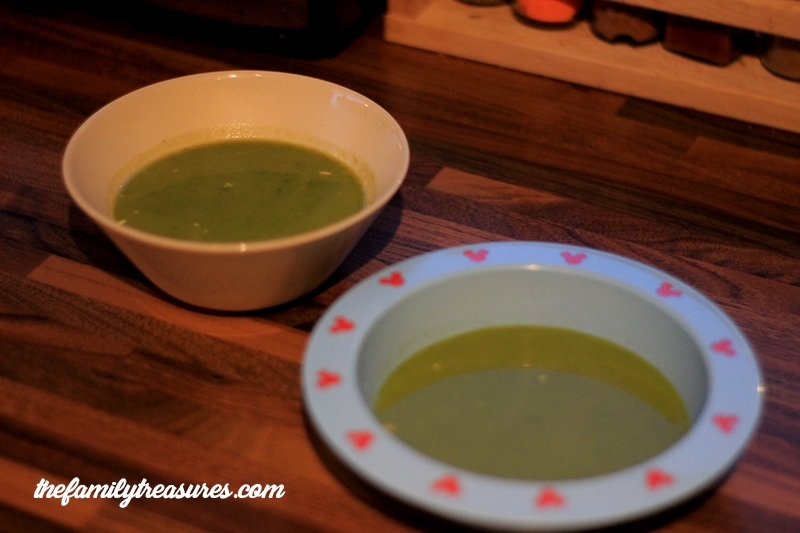 The perfect veggie soup for children is not a fairy tale, trust me. No more “I don’t like it” when they come to the table. Being a parent can be such a huge challenge sometimes and satisfying your children’s palate can seem harder than earning a Michelin star for a restaurant. That is why we thought it’d be very helpful to all of you desperate parents -that means us, not too long ago too!- if we’d share this easy simple veggie soup recipe. We found it a long time ago on the BBC food website and we decided we would give it our own twist to satisfy the little ones. 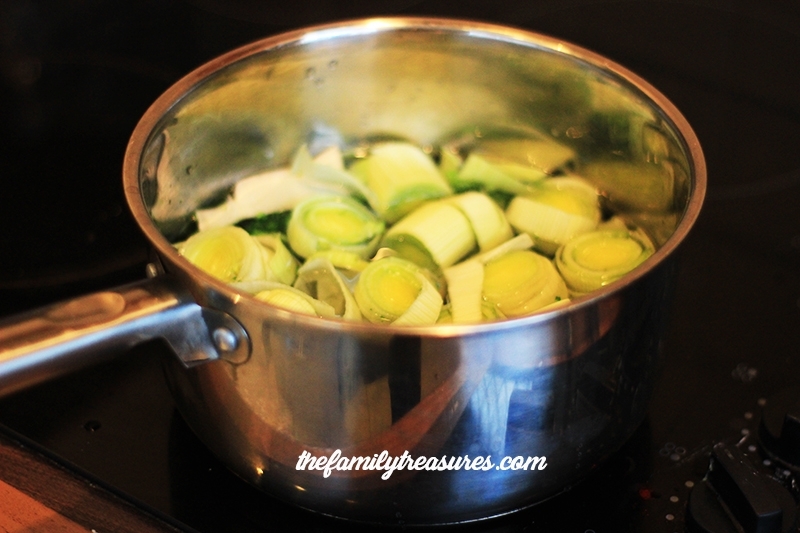 The main ingredient, and I would say the star of this recipe that helps soften the other flavours, is leeks. 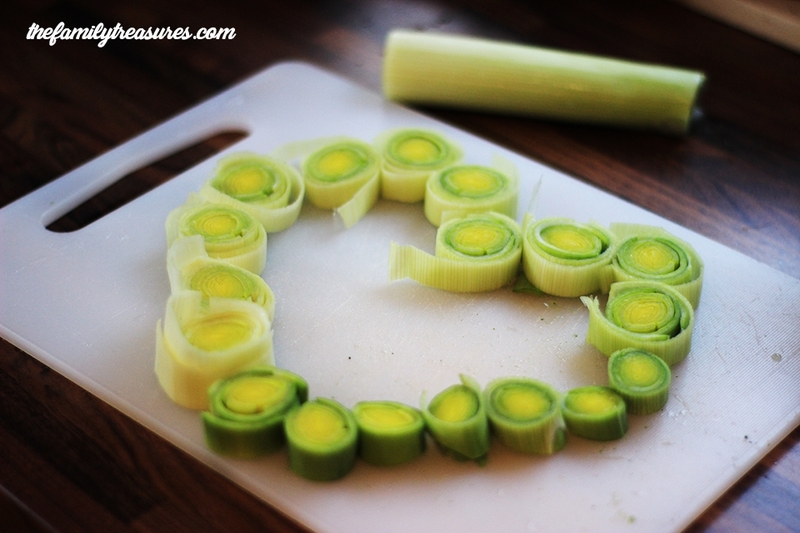 That is why I thought it would be a perfect entry for the #lovemyleeks campaign. What do you need for the perfect veggie soup recipe for children? 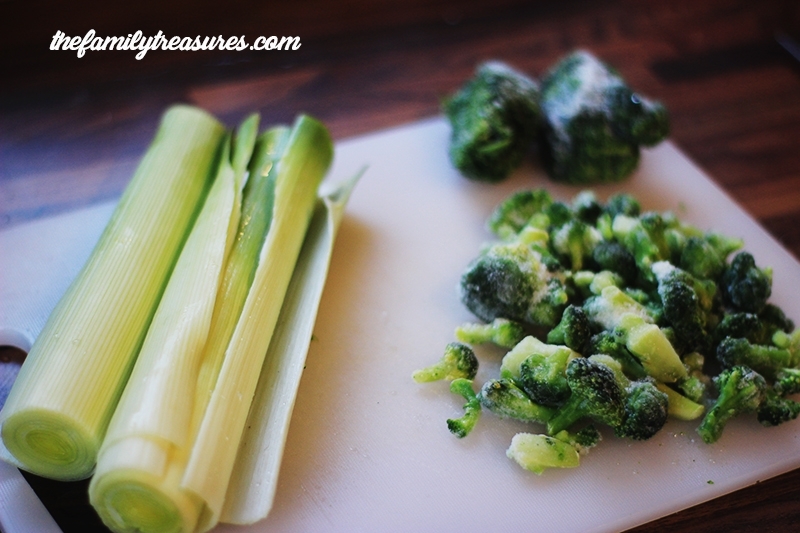 You cut the leeks in big chunks, they don’t need to be small. Put the water in the pot and add the broccoli and chicken stock. Bring it to the boil. When it starts boiling add the spinach. Leave it to cook in low temperature for 5-10 more minutes, till you check all the vegetables are tender. Turn off the hob and leave it to cool down for 10 minutes. Then it’s ready to blend. Once it’s blended put it back in the pot and add the spoon of philadelphia. Stir it and season it with salt and pepper. Now it’s ready to serve! Enjoy it with a piece of bread or whatever you wish. Sometimes we give it to our children along with fish fingers so the meal has all the nutrients they need. We have a fussy 5 year old eater and a 1 year old that could eat his sister’s meal so satisfying both at the same time is not easy. With this easy veggie soup recipe we have found the way to give them the veggies without them complaining. There you go, a win-win meal for everyone!